Think positive! You are what you think! You have probably heard these sayings at one time or another in your life. The question is, do you practice them? When you choose the path of optimism, of making an effort to see the positive in every situation and expecting positive outcomes, this change in mindset allows you to open your mind to the answers to even the most complex of challenges or problems. There is no magic silver bullet to gain a positive outlook on life. 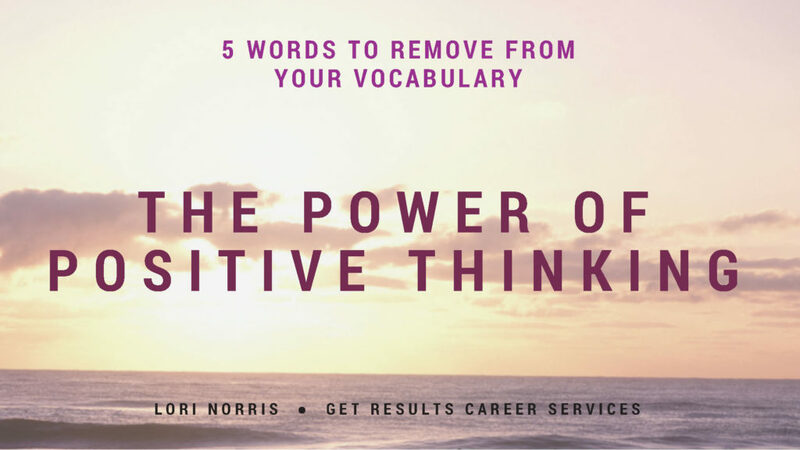 However, you can take a step in the right direction by eliminating these 5 negative words from your vocabulary. We often fail to give ourselves the credit we deserve. We downplay our accomplishments, our skills, even our value by using the word just. I was interviewing an aircraft mechanic retiring from the Air Force to gather information for writing her resume. We were talking about her transferable skills, as she no longer wanted to work on aircraft. She said she didn’t have any relevant skills, that she was “just” an aircraft mechanic. By thinking of herself in terms of “just” she negated all the skills she had gained during her career. Never tell someone you “just” did your job – that sounds like you are saying you did only the bare minimum to prevent you from getting fired! “Do or do not. There is no try.” While I may question Yoda’s grammar in Star Wars, I wholeheartedly agree with his idea. Any time my kids say they will “try” I pull out my Yoda quote! Try is a bad word in my house because it gives an instant excuse for failure. When someone tells me they will try, I instantly assume they will not do it because they are unwilling to commit. Plan for your success and strive for your success – don’t just try. Henry Ford said “Whether you think that you can, or that you can’t, you are usually right.” There is a big difference between can’t and won’t. Often when you fail, it is the result of not being willing to put in the effort or make the sacrifices that are necessary for success. Visualize your success and replace the word can’t with a plan of how you will succeed. Most goals that seem impossible become much more achievable when they are broken down into smaller steps. If you change your thinking, you begin to view problems and obstacles as opportunities for growth and learning. When you deem something impossible, you are stating that you have evaluated and tried all possible options or solutions to a problem. This word carries the same problem as try. If you plan to accomplish your goal “someday,” how will you ever know if you have failed or succeeded? Set a time limit for your goals, give yourself a deadline, and clearly define when you will take steps toward success. What “big hairy” goal would you like to accomplish? What is holding you back from achieving the success you desire? How many of those obstacles are self-imposed? If you need a dose of reality, a kick in the pants or a strategic planning partner just give me a call! Lori Norris founded Get Results Career Services in 2004 to educate job seekers in all aspects of the job search. 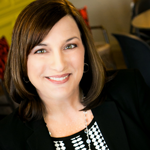 Lori is a Certified Professional Resume Writers (CPRW) and Certified Job and Career Transition Coach (JCTC) and has been featured in articles in the Arizona Republic, East Valley Tribune, Luke Air Force Base Thunderbolt and the Job Examiner.